Admittedly, it will take quite some time to collect all the bottles needed for this project by yourself, by I think if you get your friends, neighbours and family to start saving up their bottles as well, it shouldn’t take too long. The important thing is to get started saving your bottles right away. As I see it, the biggest roadblock with the project is the space required to store all the plastic bottles whilst you are saving them up. If you are interested to know more, or you want to give it a go, you can download a PDF document showing how the greenhouse was built. 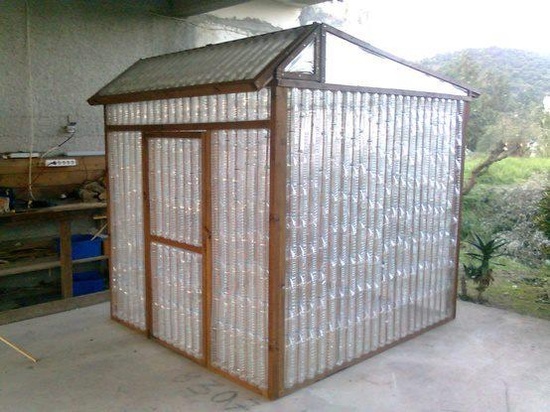 The PDF also includes plans and a shopping list of the other materials you need to build your own soda bottle greenhouse. 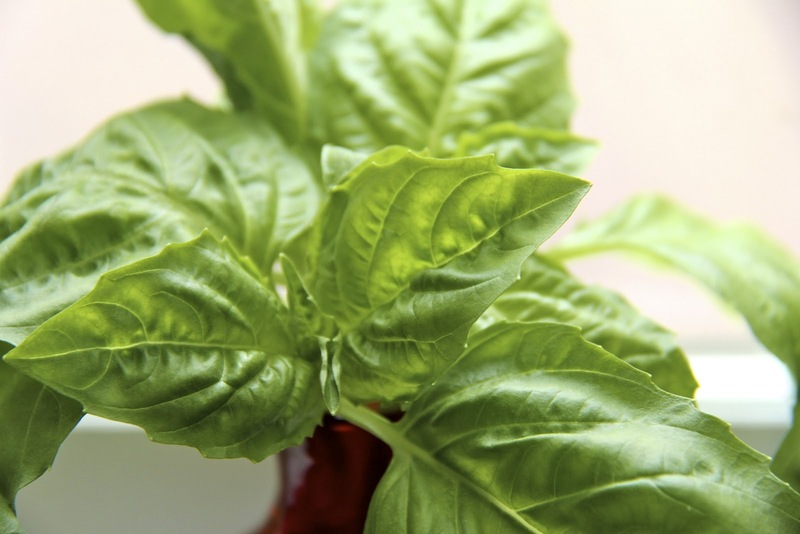 A Wonderful Recipe: Fresh Basil Plants 12 for $2.50!!! There’s a well known saying, “You can never be too rich or too thin”. I most heartily disagree with both of these premises…………..
With so many young, beautiful girls suffering from social-induced image problems like bulimia and anorexia, it breaks my heart that a thin, lean body has become an icon of female beauty. The most beautiful women I know range from being short, tall, large, small, young, old and all places in between! And as far as material possessions ………….. well, I think Solomon, known as “the wisest of all men”, sums it all up quite nicely; “Give me neither poverty nor riches! 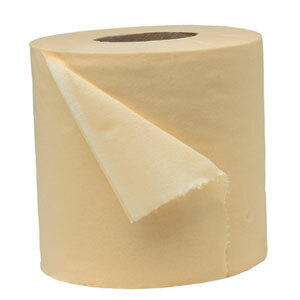 Give me just enough to satisfy my needs. For if I grow rich I may deny you and say, ‘Who is the Lord?’ And if I am too poor, I may steal and thus insult God’s holy name”. 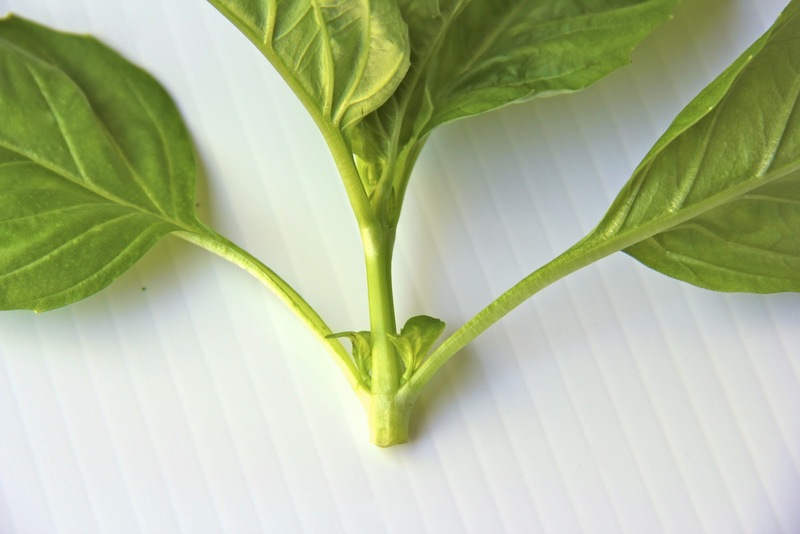 Now basil, well, that’s a whole different story………… Although we grow a lot of basil each summer, it seems like I could always use more. 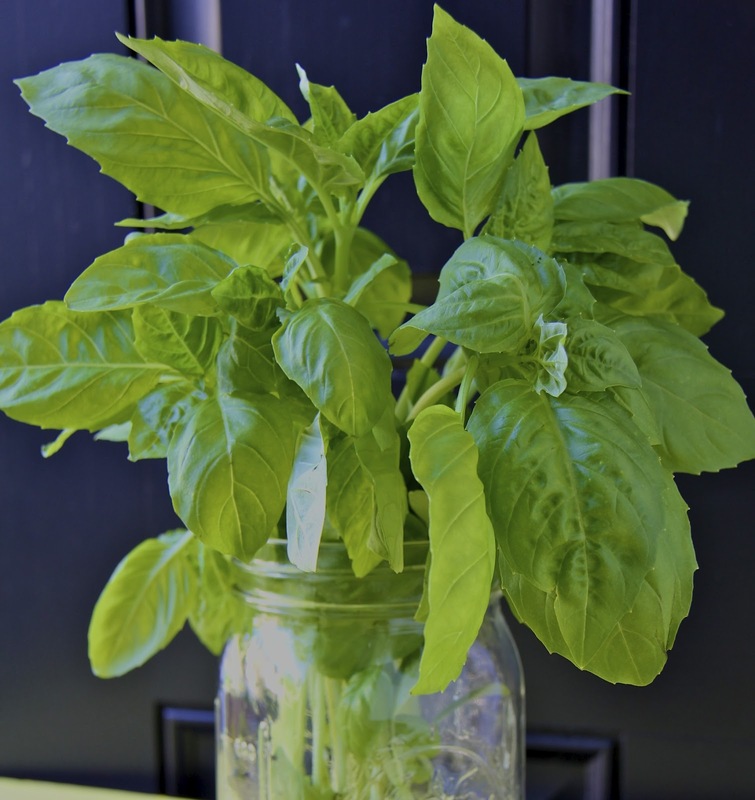 One of my favorite recipes ever, Sweet Basil Vinaigrette calls for a quarter pound of basil – have you ever seen how much basil it takes to make a quarter pound!? I cut up the plant into little pieces! What in the world? 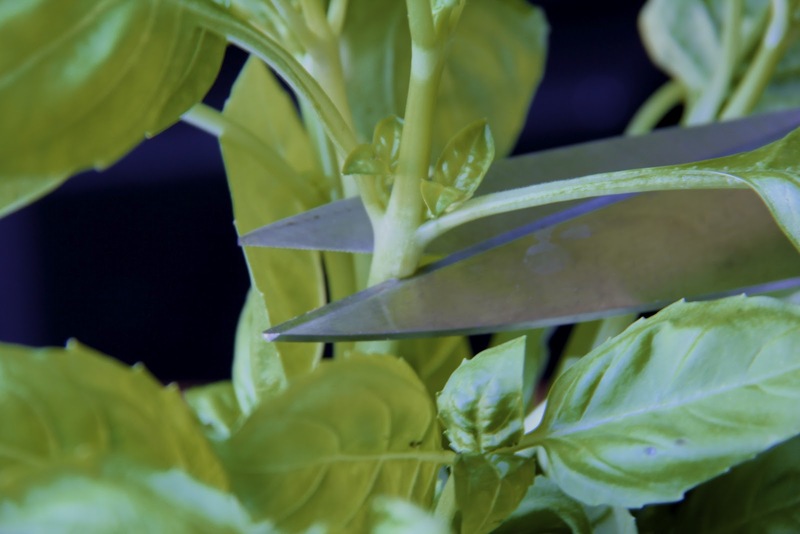 …………… I bet that some of you don’t know that basil is very easily propagated. Yes, if you cut it up correctly, you can get a bunch (I got twelve!) 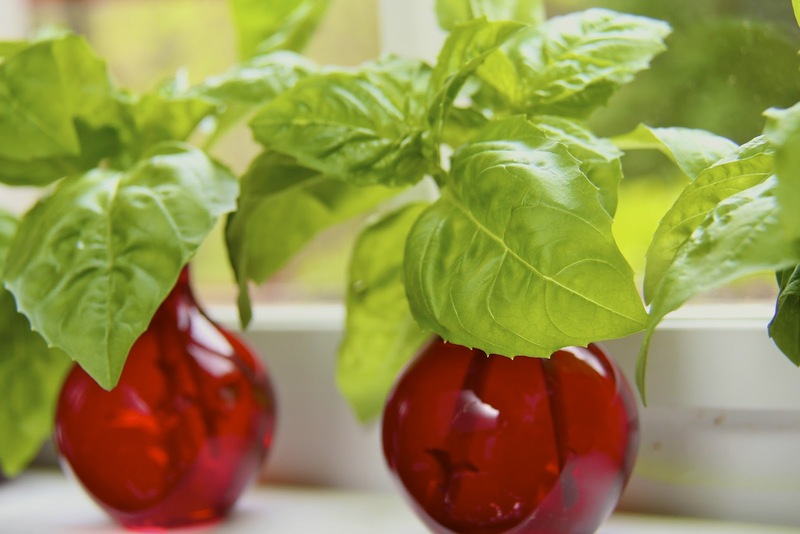 of lovely basil plants for your spring/summer enjoyment, out of just one plant. Check out the “recipe” below to see step-by-step instructions! I had enough basil left for a couple recipes that I’ll be sharing later this week. I’ll be featuring some delicious Slow Roasted Tomatoes tomorrow that you don’t want to miss! 1. 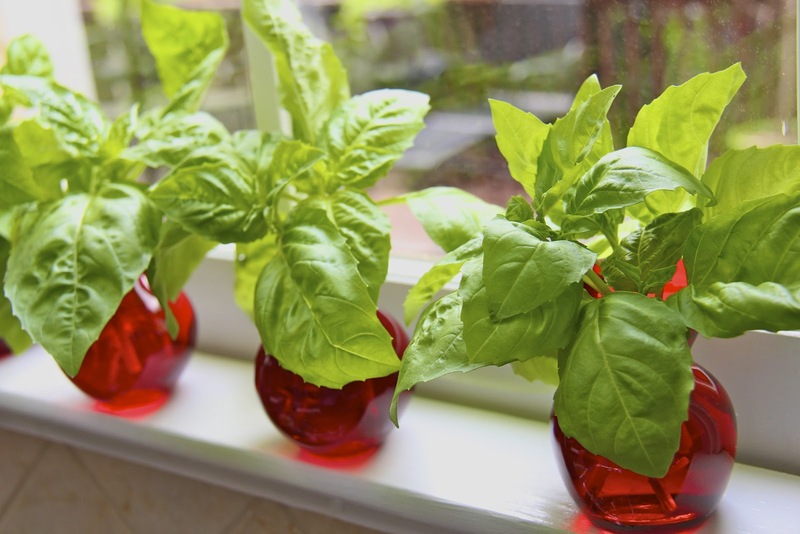 Begin this process no more than 2-3 weeks before it is safe to plant basil in your climate zone which is usually when temperatures will consistently remain above 50˚ at night, the days are warm and sunny and there’s no danger of frost. 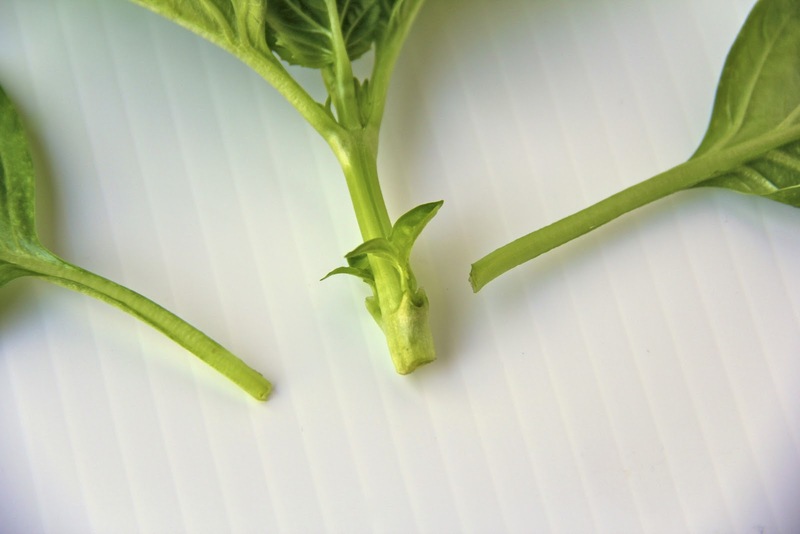 If there are tiny leaves at the leaf node, don’t worry about these. 3. 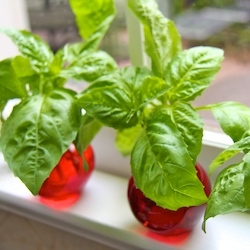 Place cuttings in small clear glasses of water on a bright, sunny (not hot) window sill. 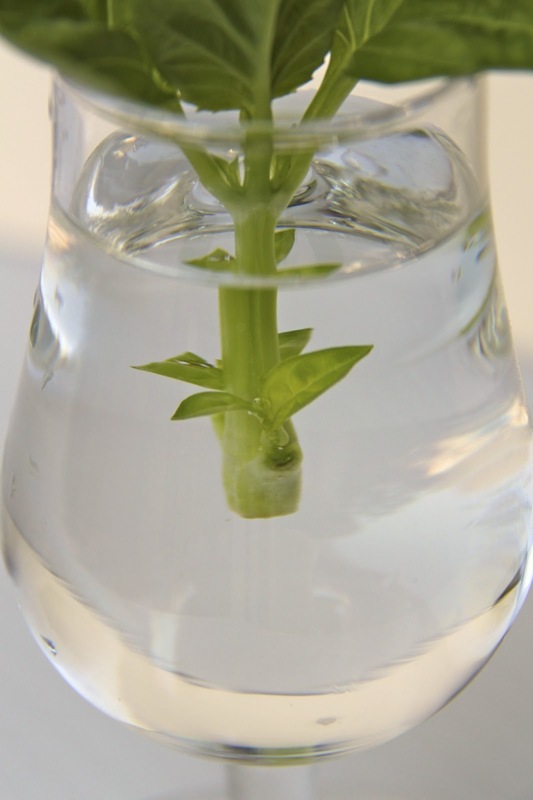 You can put 1-2 cuttings in each glass. 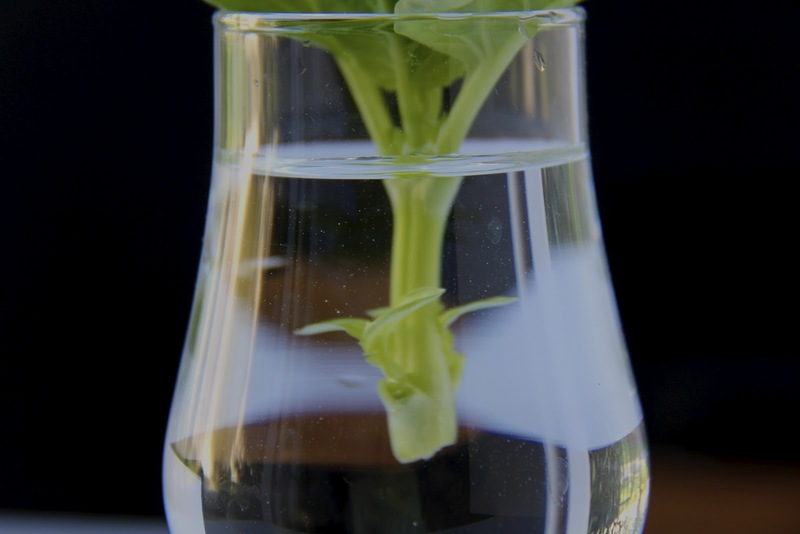 Watch the water levels carefully, adding water to keep stems immersed. Change the water every other day to keep it fresh. 4. After 5-7 days you will begin to see some tiny white roots forming. Each day more and more will appear. Let the roots grow to about 2 inches. This will take about 2-4 weeks, from start to finish. You are now ready to plant your plants outdoors in a sunny spot. ~ The cuttings may look a bit droopy after a day or so. They are just adjusting to a new environment; keep the water level full and be sure to change the water every other day. A little warning; sometimes one or two of the “little offspring” just don’t make it – it’s too shocking for their system – you should have plenty of others though, that do just fine! 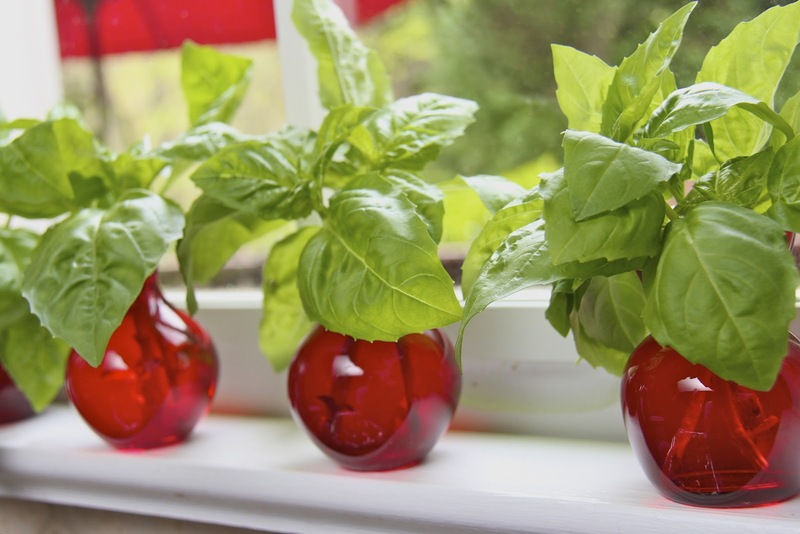 ~ For more information on planting and growing basil check out this informative website. ~ Fresh herbs love lots of water, especially in the hot summer months. They will wilt, droop and their growth will be stunted if they don’t receive enough moisture. I am very forgetful and lazy when it comes to watering plants. Years ago, my husband devised an ingenious system that keeps my herbs healthy and beautiful during the scorching summer weather we experience here in the Carolinas. Check out this post and you’ll be able to see for yourself how this simple and ecologically efficient drip system works! click on each link below each photo for all the details and enjoy! “Easy Seed Starters” is a collection of easy-to-follow projects to get your garden started. Learn how to build windowsill greenhouses, cultivate seeds from your favorite vegetables, and nurture your seedlings into full-grown plants. All projects come from Instructables.com, are written by our creative community, and contain pictures for each step so you can easily make these yourself.Instructables is the most popular project-sharing community on the Internet. We provide easy publishing tools to enable passionate, creative people like you to share their most innovative projects, recipes, skills, and ideas. Instructables has over 40,000 projects covering all subjects, including crafts, art, electronics, kids, home improvement, pets, outdoors, reuse, bikes, cars, robotics, food, decorating, woodworking, costuming, games, and more. Check it out today!